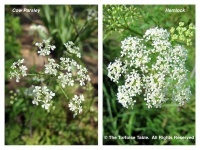 This annual/perennial weed contains the deadly alkaloid coniine, which is ACUTELY TOXIC. It has been known to cause death in children by paralysing the respiratory nerves and causing suffocation. 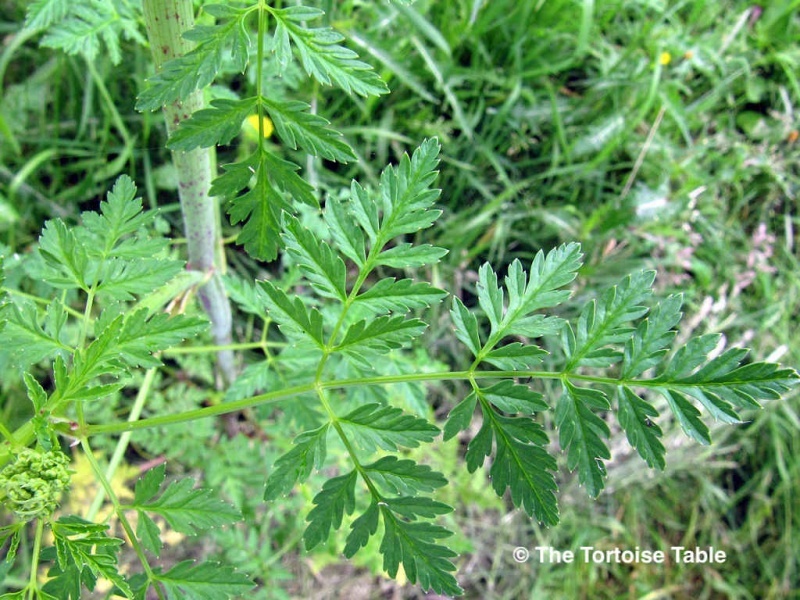 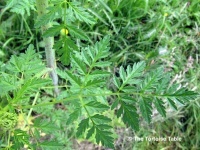 Identify and avoid at all costs, as this plant is toxic to animals and humans. 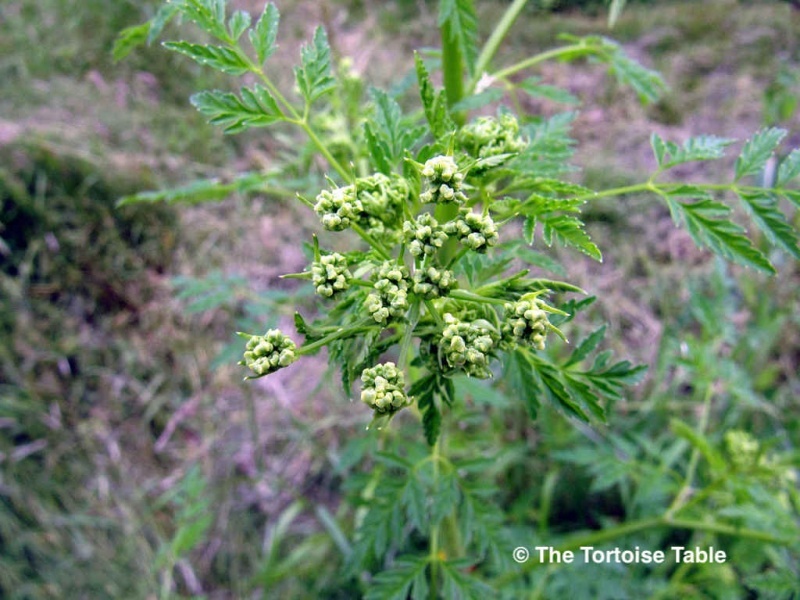 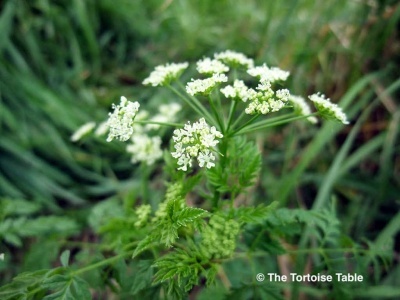 The Poison Hemlock should not be confused with the Western Hemlock tree (Tsuga heterophylla spp. ), which is a conifer and should also be avoided because of the high level of tannins in its bark and needles. 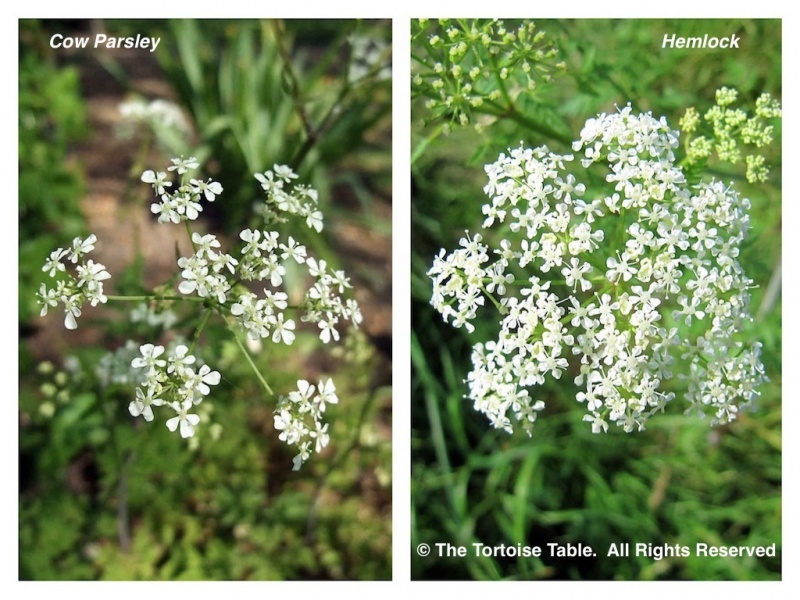 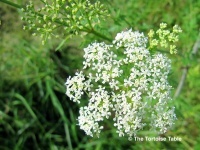 Hemlock plants can easily be confused with Wild Carrot which is TOXIC, and Cow Parsley, which is not, so unless you are completely sure about your identification it is probably best to avoid all three plants. 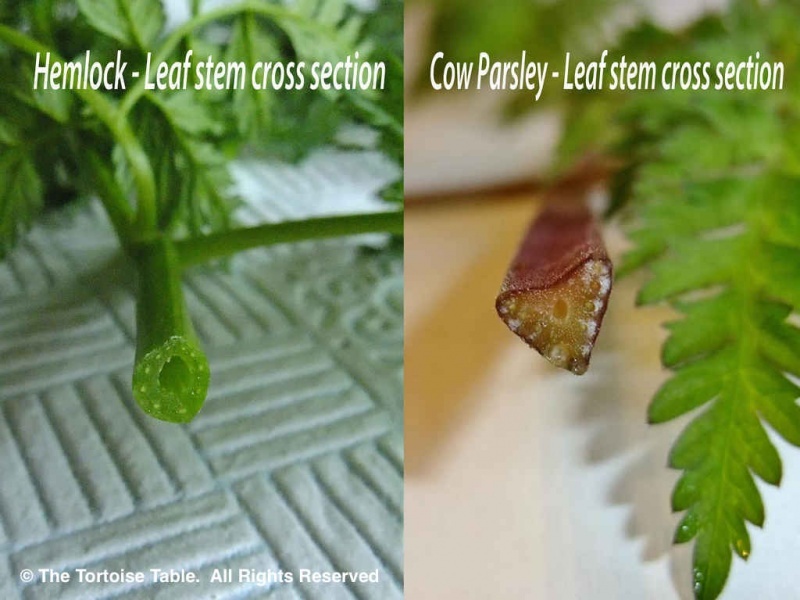 As a guide to identification, the young stems are smooth and round (although mature stems can have grooves in them), and hollow between the nodes. 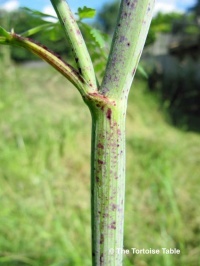 Mature stems are greyish-green in colour and are readily distinguished by the red/purple speckles or streaks. 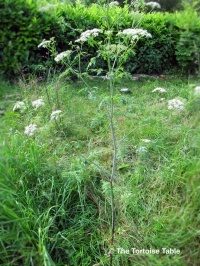 The leaves are more finely divided than Cow Parsley . When crushed the leaves and stem give off a strong, unpleasant smell. Hemlock grows 6' - 10' tall in the right conditions and flowers June to September.